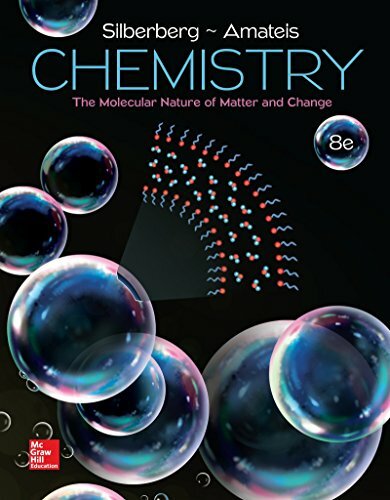 March 31, 2018 lowpricebooks 1259631753, Chemistry, Martin Silberberg Dr.
1259631753 – Chemistry: The Molecular Nature of Matter and Change by Martin Silberberg Dr.
1259631753 –Chemistry: The Molecular Nature of Matter and Change by Martin Silberberg and Patricia Amateis has been recognized in the general chemistry market as an unparalleled classic. The revision for the eighth edition focused on continued optimization of the text. To aid in this process, we were able to use data from literally thousands of student responses to questions in LearnSmart, the adaptive learning system that assesses student knowledge of course content. The data, such as average time spent answering each question and the percentage of students who correctly answered the question on the first attempt, revealed the learning objectives that students found particularly difficult, which we addressed by revising surrounding text or adding additional learning resources such as videos and slideshows. The text still contains unprecedented macroscopic-to-microscopic molecular illustrations, consistent step-by-step worked exercises in every chapter, and an extensive range of end-of-chapter problems, which provide engaging applications covering a wide variety of interests, including engineering, medicine, materials, and environmental studies. Changes have been made to the text and applications throughout to make them more succinct, to the artwork to make it more teachable and modern, and to the design to make it more simplistic and open.